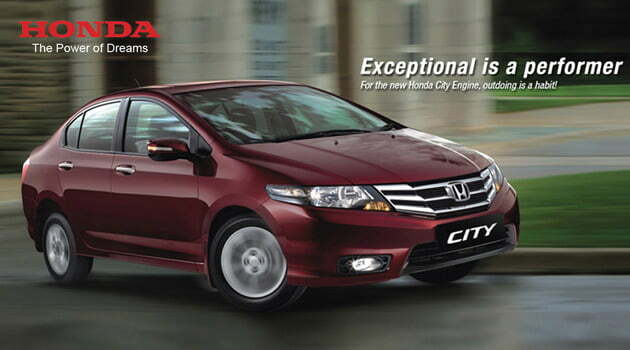 A totally enticing and fascinating look is provided for the new breed of Honda City. Honda City manufacturers have stuck onto the contemporary look offered by the base versions until the latest version. 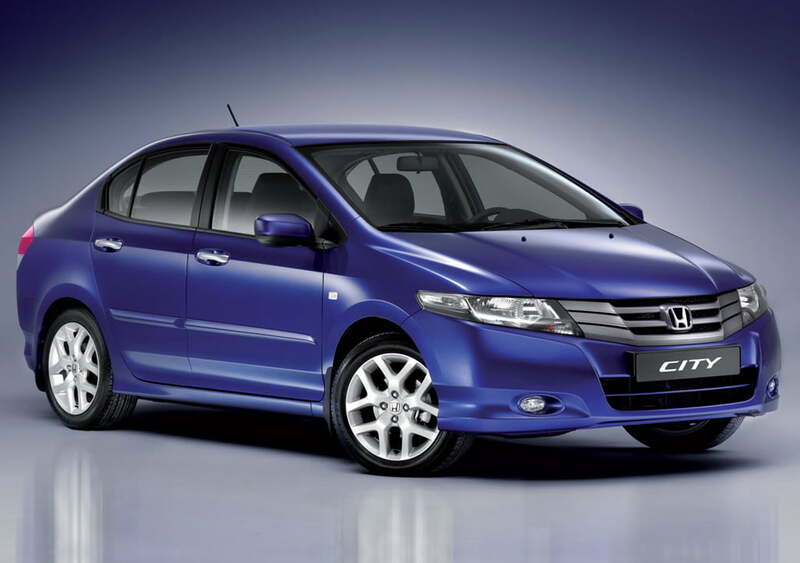 Honda City is one of the most impressive and the best-ever selling car in the C+ segment. The Japanese manufacturer has done their best for bringing up the new breed in 2012, ever since their establishment on the Indian soil in 1998. Low carbon dioxide emission, efficient power and low cost of the sedan are the astonishing feature which makes the customers go wild over it. In 2009, the car has been awarded ‘Car of the Year’. 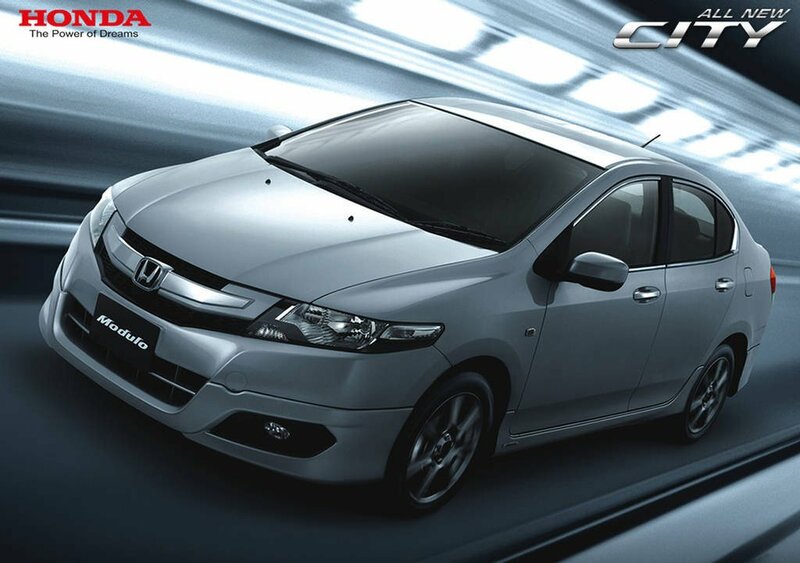 Honda City is one of the most impressive and the best-ever selling car in the C+ segment. The Japanese manufacturer has done their best for bringing up the new breed in 2012, ever since their establishment on the Indian soil in 1998. Low carbon dioxide emission, efficient power and low cost of the sedan are the astonishing feature which makes the customers go wild over it. In 2009, the car has been awarded ‘Car of the Year’. The sedan takes its prime elegance to satisfy the customers, by opting keen attention in adapting to the time schedule of the owners. 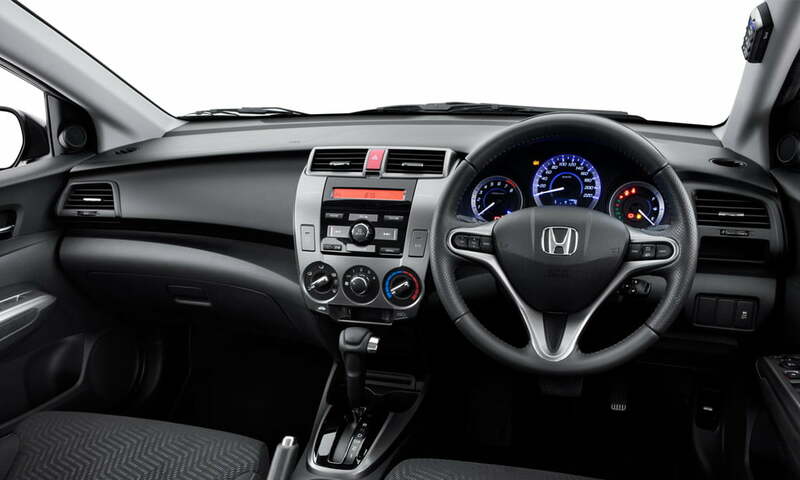 The new model of Honda City is stuffed with features both inside and outside, which makes the car irresistible to the buyers. Moreover, the sedan is made acclimatized to city driving as well as for both rough and smooth roads. 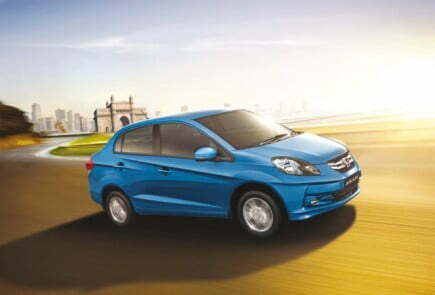 Honda City is the cheapest sedan from Honda and ranges from 7.4 – 10.7 lakhs. 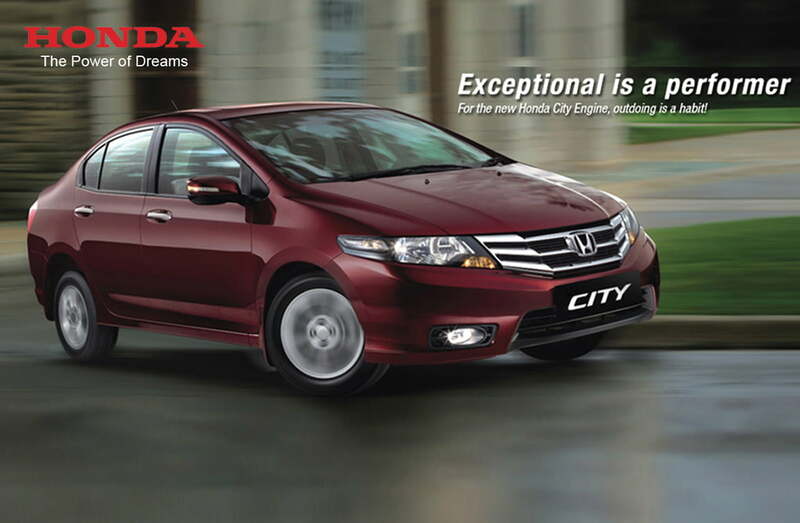 A totally enticing and fascinating look is provided for the new breed of Honda City. One of such features is the additional sunroof option, which makes the sedan go long over other competitors. This sunroof is electrical and it makes sure that enough breeze swoops in, not to let the travelers go crazy over their hair. Another additional option which makes the sedan exceptional over the parent varieties are the embedded indicators on the rear view mirrors. A premium core radiator grille which holds the symbol of Honda is yet another additional feature which gives a new outlook to the sedan. The ground clearance of the car is simply inexplicable at 165mm. Following that, 10 spoke alloy wheels and the completely renovated bumper with arrow shoot design makes the Indian drivers lure right into the car. 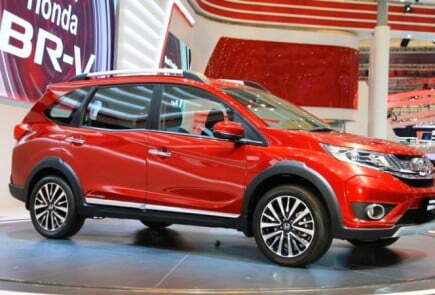 Honda City measures 4440mm in length, 1695mm in width and 1485mm in height. 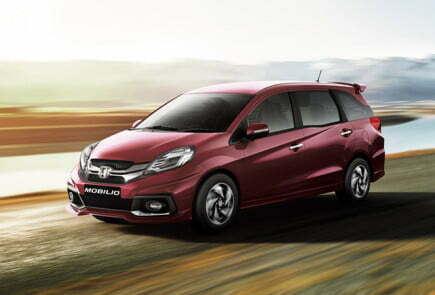 Honda City manufacturers have stuck onto the contemporary look offered by the base versions until the latest version. This makes the car go a little behind with the other competitors. A spacious cabin with enough leg space for both rows makes it ideal for the passengers to travel comfortably. The elegant design, superior seat fabric, beige interiors, stylish center control panel and the Blue Meter Graphics are some of the alluring features of the car. The car is stuffed with feature to control the speed of the car automatically. The rear seats are seated a bit higher to that of the front row, such that all the passengers can enjoy a good view of the drive. The head space of the sedan is ideal for a 6ft man to sit comfortably, without any worries of hitting head on the top. Some of the other key features like the power windows, power door mirrors, day/night mirror, fuel consumption display with a warning, headlight alarm, key alarm, foot rest, keyless entry, passenger vanity mirror etc. make the car simply astonishing. 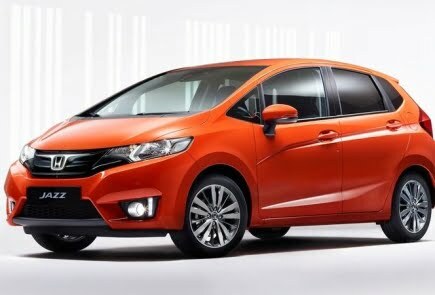 Honda City is powered by high performance 1.5L Single Overhead Camshaft (SOHC), intelligent-Variable Valve Timing and Lift Electronic Control (i-VTEC) engine. 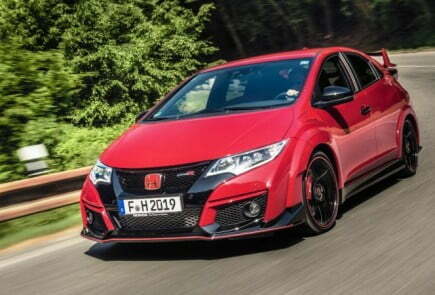 The 4 cylinders (each integrated with 4 valves of 28mm diameter reducing the pumping losses) use the electronic fuel injection technique and together hold 1497cc which generates a power of 116.3bhp at 6600rpm and 146Nm torque at 4800rpm. The basic version comes in 5-speed manual transmission whereas the high end variants are incorporated with automatic transmission. Honda City is quite economical providing an average mileage of 16.8kmpl. 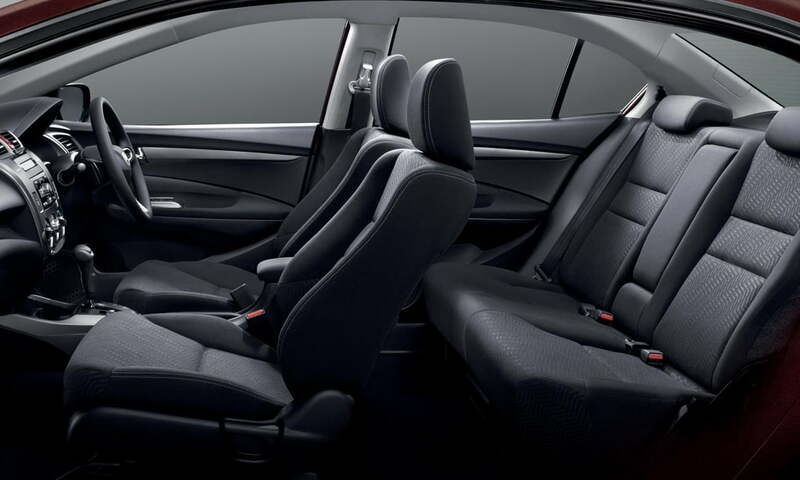 Honda City comprises of advanced safety settings like dual airbags for front passengers, seatbelts for all the five passengers and Anti-lock Brake System combined with the Electronic Brake Distribution (EBD), which ensure total safety of the passengers. Moreover, the headrest of the front row passengers is made active which prevents whiplash injuries to the front row passengers. The windshield on the rear side is stuffed with defogger which makes them helpful in the winter season. 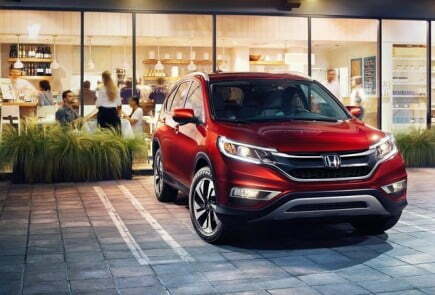 For the reduction of the crash impact on the passengers, the sedan uses the Honda patented G-CON structure while the limiting force control arrangement of the seatbelts makes the sedan outstanding with the safety features when compared to the other sedans.